Similar to the list you develop to purchase groceries, why not develop your own list of needs and wants when buying a new home or house hunting. This doesn’t mean you can’t have what you want in your home, but rather, that you have a priority list of the most important features where a NEED would trump a WANT when push came to shove. You may not be able to obtain all the “want” items on your list, within your budget, but at least you and your real estate agent will have a clearer idea of what to look for. You may have to compromise on a few items to stay in line with your budget. When developing your lists, try to establish a happy medium of your NEEDS and WANTS. That is, you’ll want to look for a home that includes all of your needs, with as many wants as practical, while remaining within your budget. 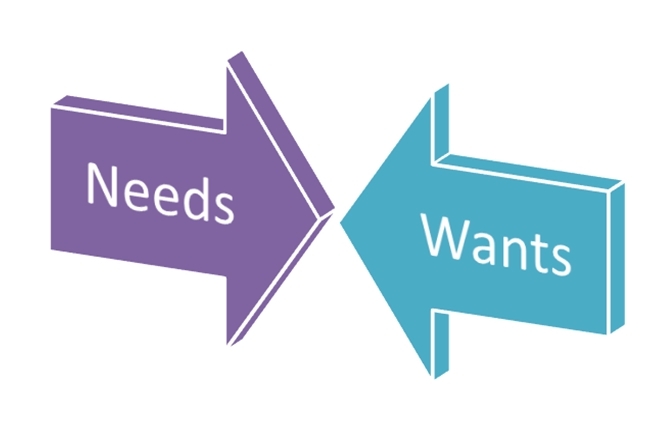 Once you have this information in hand, your needs will be clearly defined from your wants. Having this knowledge will establish a clear direction for your new home shopping.